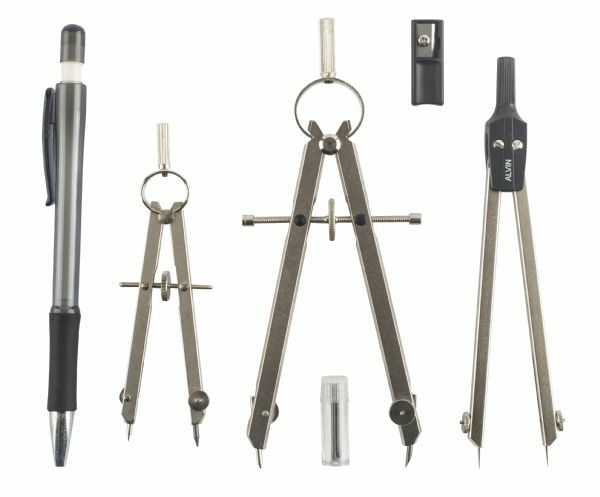 Set includes 6" bow compass with center wheel straight leg design 4" bow compass with center wheel design 5½" gearhead divider with adjustable and replaceable needle points and 5¾" mechanical pencil. The size is 4", 6". 8.5" x 4.25" x 0.75"